I loved the first book in this series. It was in my top ten last year and I have been anxiously awaiting this second book. The first book is most definitely better but this book was good to tie the stories together. In the middle I thought it got a bit wordy and drawn out but I enjoyed the characters and the setting just like the first. Julia grows and comes so far from the first book, I wanted to jump into the book at times. 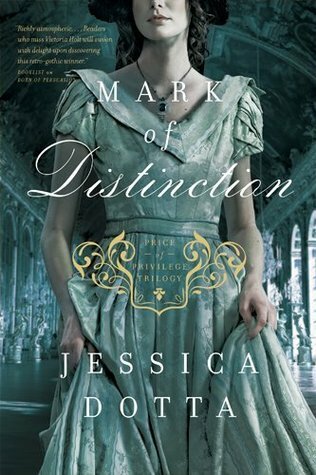 Like in the first, this book has a ton of detail which I do like with Jessica's writing. While this book had a finality in the end I am still excited about the next book! You must read the first book before starting this, nothing will make any sense if you do not start with book one. I rate this book four stars but I still highly recommend this series. This book releases May 1, 2014. "I received this book for free from Tyndale Publishing House in exchange for an honest review."